Updated April. 5, 2019: Call of Duty World League – Here is everything you need to know about the CWL Pro League 2019 Season. From weekly updates, to match break down and stats, be sure to check back as this page for updates. Week 6 saw a second group of teams playing each other in the CWL cross division play. Gen.G, Denial, Midnight, Splyce, Enigma, OpTic, Reciprocity and 100 Thieves were going have their time to play against each other. Many fans were looking forward to seeing Gen.G play Splyce since they were eliminated at CWL Fort Worth by Splyce. Just before the regular division play went to break for Fort Worth, Denial were on a hot streak. After being criticized by the CWL panel, Denial broke through in their last two games before the break beating two very good teams. Fans of Denial Esports were wondering if they were going to continue their hot streak. Splyce were runners up at CWL Fort Worth. Although the final game wasn’t close with Luminosity beating them 3-1, Splyce overall had a very decent run in the tournament. How were they going to respond coming back to cross divisional play? Midnight were looking to prove everyone wrong that the major changes from Rostermania were meant to improve the team. Team Reciprocity had a very strong showing at Fort Worth and were looking to continue their run in week 6. Enigma6 had some decent games at Fort Worth and at some points looked very strong. They would be looking to finally get out of the bottom part of the leaderboard. OpTic Gaming would finally be a complete team with Dashy back on board. How were they going to fair knowing that Fort Worth wasn’t their showing? Many questions, lots of answers. Lets find out what happened. After week 6 of cross division play, here’s how the standings look like. The league is now on another break while teams get prepared for CWL London. Stayed tuned for updates in the Pro League after CWL London. The pro league continued in week 5 in cross-divisional play. Division A teams would play Division B teams for the first time this season. It was a new addition to the format of the league, which just saw teams compete against teams in their own division. This new layout makes the league more interesting in terms of seeing all the different combinations and not waiting till the majors. Luminosity comes off as the CWL Fort Worth champions and were on a hot streak. Would they continue to their hot streak? eUnited had a disastrous showings at Fort Worth. Many fans were wondering how they were going to turn things around after that. The only thing eUnited could do was make a major roster change. Fans saw JKap move to Sub and Simp switching to the starting lineup in eUnited. How would the team adapt to the change? Would the weaker teams start pulling through this week? Let’s look at the scores for week 5 of the CWL pro league. In the first day we saw strong showings from teams that were at the lower part of the leaderboards such as UYU, Team Envy and Evil Geniuses. eUnited just beat out Evil Geinuses, the the move with Simp proved to be a great switch. Red Reserve continued strong as they were able ti beat out the hungry Excelerate team. Luminosity lost a tight one against Team Envy, who, at the break were one of the best teams. Here’s how the rest of the week looked like. eUnited showed that their roster change was needed as they won 3 out of their 4 games. Luminosity, Heretics and Team Envy continued to win the necessary games. UYU, Evil Geniuses, Red Reserve and Excelerate continued having difficulty closing out games and continue to stay at the bottom of the leaderboards. Stay tuned for week 6. CWL Fort Worth was a huge success. We saw new Champions, new heroes, and shocking outcomes. One of the shockers were eUnited finishing in last place, and OpTic Gaming bowing out on Day 2 of the tournament. Both teams were huge favorites to win the event since they placed 1st and 2nd at Vegas. But unfortunately, they came up short in the end. We saw new teams emerge as contenders such as Team Reciprocity and Gen.G. But the biggest story was Luminosity Gaming and their continued dominance since the break of the pro league. Luminosity Gaming beat Splyce 3-1 to grab the teams first major CWL title. Gunless won MVP of the tournament making it his 3rd. Looking into continuation of the Pro League, we will be keeping an eye on the teams who made role changes such as OpTic Gaming’s Karma and TJHaly switch. Eunited promoted their sub, Simp, and moved JKap to substitute. This sparked outrage on social media, leaving many wondering what would be JKap’s future with the organization. Luminosity Gaming will be looking to continue their hot streak of three games and finally breaking even on the leaderboards. Most of the teams who made changes during Rostermania will be going into competition with no additionally changes. Stay tuned for updates. What seemed to be crystal clear in the 3rd week of the Pro League (start of Division B), seemed to be turned upside down after week 3. The league saw some teams turn it around, specifically 100 Thieves, who everyone had written off after the first week. Team Heretics stayed strong but dropping their perfect record and eUnited continued their strong performance. Benson, one of the CoD Casters predicted Heretics would go 4-0 in the first week for Division B, which he got right. However, this time around Benson was on the other side of things, saying that Heretics will most likely go 1-2 this week. The other Casters, Pacman and Maven agreed that the wrecking train was at it’s final stop. Would they be right? Here are the results for week 3 of the Pro League. Here are the results after week 4 of the CWL Pro League 2019. Week 3 of the Pro league brought some new exciting teams into the picture, with Heretics taking the lead at the top with 4 wins and 0 loses. CoD Caster Benson made a bold prediction at the beginning of Week 3, saying that if Heretics was able to pull off a win against eUnited, that they would be finishing the week 4-0. Benson was dead on with his prediction. Many fans were excited to see the Spanish team do so well, and bring some much needed competition from Europe. As Heretics cruised through the 3rd week, so did Splyce with convincing wins over their opponents. Splyce finished the 3rd week with a 3-0 record and placing 2nd on the leaderboards. After their first day loss, eUnited fought back with 3 impressive wins placing them 3rd on the leaderboards after week 3. ﻿ Division B is a little more clearer in terms of who’s leading the pack, which wasn’t the case with Division A. There are 5 teams below 500. 100 Thieves, Excelerate Gaming, Team Envy, Enigma6 have only 1 win out of 3 matches, and Denial Esports losing all 3 games. Here are the results after week 3 of the CWL Pro League 2019. Stayed tuned for next weeks updates. After an exciting opening week to the Call of Duty World League 2019 season, week 2 didn’t leave anything behind. Midnight was entering the week with a perfect record, and many were wondering if they were going to keep their perfect record going. Luminosity Gaming game out of the opening week with no wins. Being one of the four teams to clinch the CWL 2019 season, it was a shocker for not only Luminosity Gaming fans, but CoD competitive fans around the world. UYU and Evil Geniuses were looking to turn things around this week. OpTic Gaming looking to continue their winning streak after dropping the first game of the season to Midnight.Let’s see what happened during the week. Evil Geniuses and UYU kicked things off, both trying to turn their teams around in a positive direction. After a strong start with Evil, UYU turned things around and beat Evil Geniuses three matches in a row to take the series. Luminosity was looking for their first win, playing Gen G. Things looked good for Luminosity Gaming as they took the first map 250-147. Gen G striked back with a win in SnD, but Luminosity responded with a win on Control, going up 2-1 in the series. Things looked like they were finally going to turn around for LG. Gen G wasn;t going to let that happen, winning the next two matches and beating Luminosity 3-2. First match of the day had Midnight against Team Reciprocity. Team Rec were looking very strong coming into week two. Fans believed Midnight would have a tough time again them, which they did. The match went to game 5 and Team Reciprocity pulled through to give Midnight their first lost. Midnight finally showed they were human. The next match had the last undefeated team, Gen G against UYU. Gen G proved to be too strong against UYU, only falling down one match, and taking the series 3-1 convincingly. Gen G improved to a 5-0 record, becoming the new leaders in Divison A. Next up was OpTic against the strong Red Reserve. OpTic Gaming ended up dropping one match in their 3-1 win over Red Reserve. TJHaly looked incredibly good in all the matches, creating highlight reels. Last match of the day had Evil Geniuses against the winless Luminosity Gaming. Everyone was cheering Luminosity on to get their first win, and they did just that, finally beating out their competition in 5 to get their first win. Team Reciprocity and UYU both started off the day looking to get to 500 as each team was 2-3. IT was a hard fought battle and could have gone either way, but UYU manage to get the best of Team Rec. Next was Evil Geniuses vs Red Reserve. EG are the only team in the tournament without a win, and things weren’t going to change as Evil Geniuses were sweeped 3-0 in the series. Alarming questions started to rise as Evil Geniuses were not able to compete in that match. Midnight and Luminosity we’re next, with Luminosity handing Midnight their first lost on hardpoint, opening up with match with a 1-0 lead of the hot new CWL team. Things continued to go well for Luminosity. Was this the game that was going to turn the team around? It was, as they pull a sweep against the hot Midnight, 3-0 for the first of the CWL. The last match was Gen G against OpTic Gaming. This was going to be the match everyone was waiting for. And it didn’t disappoint. Gen G won the first map going up 1-0. Gen G continued to show their strength as they won the second match in Search and Destroy, taking a 2-0 series lead over OG. Both teams exchanged some matches with OpTic tying things up. However, it was Gen G who prevailed with their perfect record going 6-0. After a shocking day at the CWL Pro League, the day started off with Red Reserve against UYU. Red Reserve won two straight game and tried to sweep UYU. But UYU fought back, leading in match 3. However, Red Reserve had an impressive comeback to sweep UYU. The next match was the undefeated Gen G against Midnight. Even though Midnight lost their last two games, Gen G had to keep their focus intact. Things looked good in the first match, with Midnight beating Gen G in Hardpoint 250-123 convincingly. But Gen G answer back and beat Midnight 6-1 in SnD. With the series tied 1-1, it was Midnight who broke through, winning control 3-1 and taking the series lead 2-1. Midnight continued strong, and eventually took the last map, beating Gen G and giving them their first lost. The next match was Evil Geniuses against Team Reciprocity. Was EG finally going to get their first win? EG started off with a win on seaside in Hardpoint. Team Reciprocity came back in SnD with a clean sweep tying things 1-1. EG wasn’t going to let that lose affect them as they stayed focused and eventually won the next two matches, beating TR and getting their first win of the Pro League. Last match had OpTic against Luminosity. It was a crazu turn of events, having Optic up by two games looking for the sweep, but Luminosity Gaming had different intentions, evening the series at 2-2 with some hard faught battles. Then in the deciding game 5, Luminosity being down 4 to 3 in SnD came back to win and give OpTic Gaming a reverse sweep. It was an insane week 2 at the CWL Pro League season. Luminosity getting their first win and winning the next two games, doing a reverse sweep on OpTic Gaming in their last match. Midnight lost 2 games in a row, but bounced back to beat the undefeated Gen G. Teams look to be even with Gen G a little a head of the pack. Next week we look forward to see Division B play. Stayed tuned. Closing out the first week of the CWL Pro League 2019 season saw Midnight going against UYU; both teams new in the Pro League. Midnight won the first match on Hardpoint (250-185) to take the lead. The second match was all Midnight as they won 6-2 in Search and Destroy. Midnight continued to be too strong for the competion, beating UYU in Control and sweeping them 3-0 in the series. Out of four games, Midnight managed to sweep 3 teams and win a close one against Red Reserve. But Mdnight has proven that they are a force to be reckoned with. The second match had OpTic Gaming playing Team Reciprocity. The matches were close, with OpTic Gaming coming back in the first match on Hardpoint, and Team Reciprocity evening things on SnD the next match. In the second match, Team Reciprocity stormed back to win the first round of Control, showing that they are able to play with the titans. However, this seemed to agitate OpTic Gaming as they came back and beat TR in 3 straight to take Control and lead the series 2-1. In the end, OpTic Gaming proved to be the better team as they won Hardpoint easily, beating Team Reciprocity 3-1 in the series and moving to 3 wins and 1 loss. The 3rd match of the day had Red Reserve going up against the Luminosity who have yet to register a win. Things looked like they were going to continue bad for Luminosity as Red Reserve takes the first match of Hardpoint, 250-150. 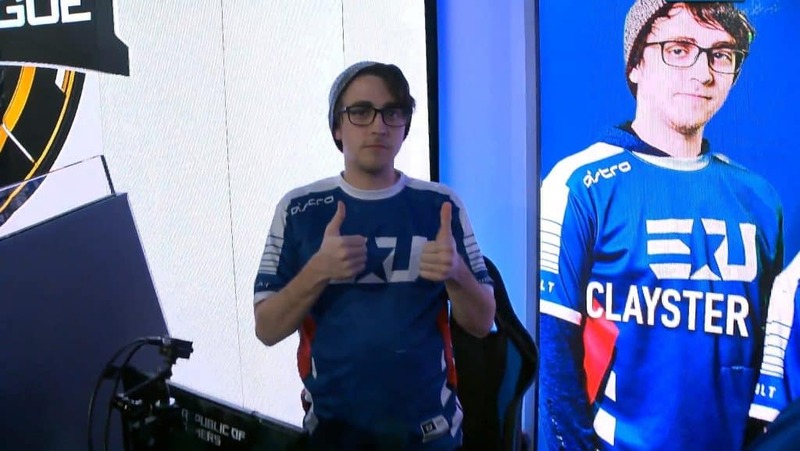 Things at this point are looking serious for Luminosity as they dropped the next match 6-1 in Search and Destroy, a mode that they consider to be really good at. With the two straight wins, Red Reserve proved to be too much for Luminosity came back in the 3rd match, but fell short in the 4th match, dropping 3 games in the week and going 0-3, while Red Reserve improved to two wins and two loses. The last match of the day had the fresh Gen.G against Evil Geniuses. EG was on a serious path as they were looking to win their first map of the CWL Pro League 2019, which they did with a victory against Gen.G in Hardpoint 250-210. But the next match turned out differently, as Gen.G bounced back showing EG that maybe the first match was a fluke. Gen.G continued with their strong play as they took Control and lead the series 2-1. They continued their dominance over EG as they won the last match, going 3-0 for the end of the first week of the CWL Pro League 2019. An imprssive showing by Gen.G. In Day 2, it proved to be just as interesting as opening opening day. With OpTic Gaming and Reciprocity losing their opening matches, fans were wondering how they were going to bounce back. 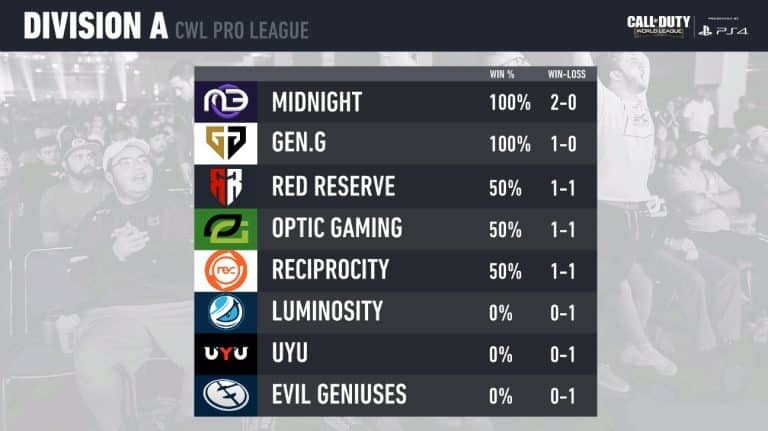 On the other side of things, Midnight came off one of the most convincing wins for any new team in the CWL Pro League. The question was, can they continue their wrath. Below are the results of the matches from Day 2 of the pro league. Gen.G VS Red Reserve – Red Reserve brought a good fight, but Gen.G was too strong in the end, winning the series 3 to 1. Midnight VS Evil Geniuses – The curious case of Midnight was on show again, and they proved to be just as lethal as opening day, sweeping Evil geniuses 3-0. 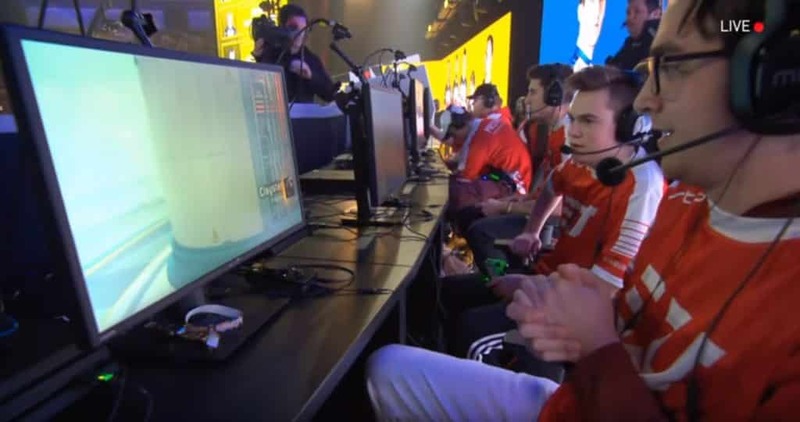 UYU VS OpTic Gaming – OpTic Gaming came back with a close victory, 3-2 in the series. Bring up by 2 games and letting UYU win the next two was concerning, but they pulled it off in the end. Luminosity VS Reciprocity – Luminosity Gaming was favorites in this division, and fans were going to see their first match on Day 2. Unfortunatly, Luminosity had a tough time against Reciprocity, and after battling back from being down 2, they lost the final game 5. Reciprocity wins 3-2. The opening day was a memorable one. Many predictions and expectations fell through as the CoD community experienced some shocking events. To start the day off, Reciprocity played Red Reserve for the first match of league play, and new commers Midnight playd against the Vegas Open champions, OpTic Gaming. The first game with RR and Rec didn’t go as expected. Fans and community members were expecting Reciprocity to come on top over Red Reserve for many reasons, specifically because they were seeded high than RR in the standings. However, Red Reserve had a different plan in mind and came out blazing. Through all three matches, Red Reserve took control and won key gun fights, especially coming from RR’s players Skrapz and Zer0, sweeping Reciprocity 3-0. In the other match, everyone was thinking that it was going to be a walk in the park for OpTic Gaming considering they just came off as the champions at the CWL Vegas Open, and the fact that Midnight are new players in the league. This couldn’t be further from the truth. Midnight came out blazing, taking advantage of an OpTic Gaming team that didn’t have all their players; Dashy had issues getting to the event and had to be replaced by ZooMaa. Although ZooMaa is a world class player, Midnight stood strong and swept OpTic Gaming 3-0, shocking the world. 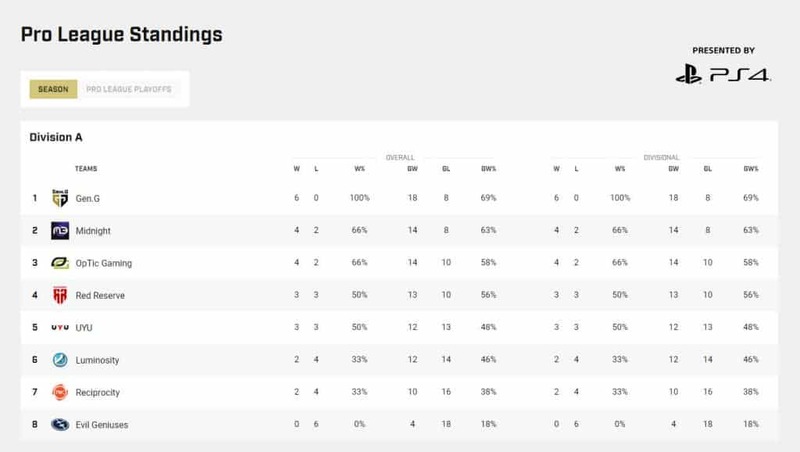 In Division A, Red Reserve and Midnight lead the top with one win and zero loses, while OpTic Gaming and Reciprocity are at the bottom for the time being. When @CODWorldLeague announced the 2019 CWL Season, there were some TBA’s, most notably where the tournament would take place in the UK. 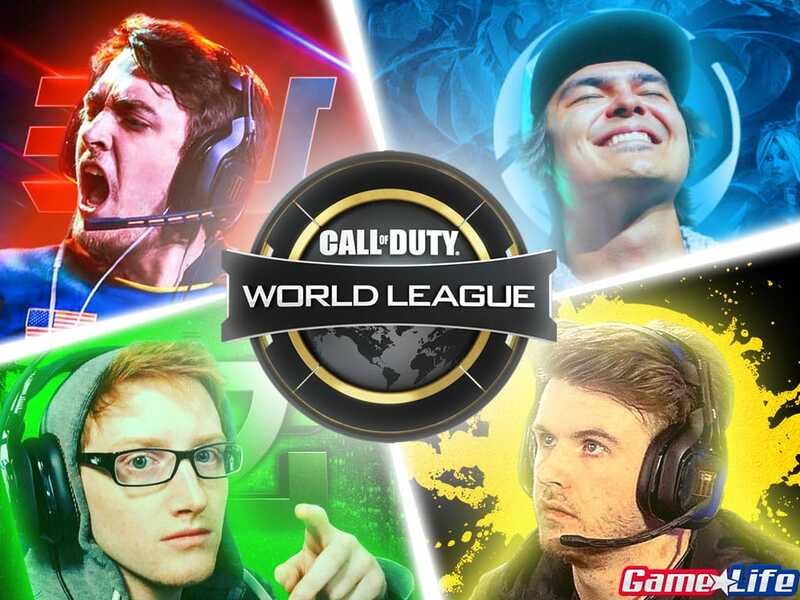 Most analysts already added London to their list of potential places and today it has been announced that the CWL will indeed be heading out to London on May 3 to 5. The event will be take place at the Copper Box Arena. This is great news as the UK holds some of the most passionate CoD fans in the world, and it was just a matter of time before the prestigious league would head over to the East. 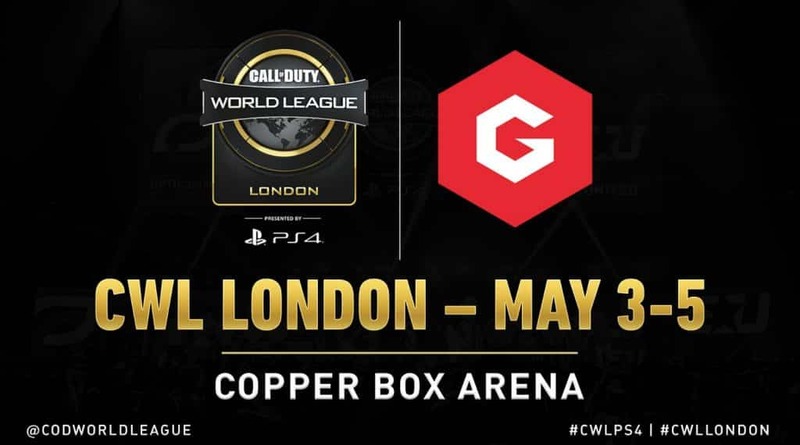 Gfinity Esports will be organizing the event at CWL London which is presented by PS4. Spectator and team passes are not available at the moment, but details will be coming soon. Stay tuned for more updates. The schedule for the first six weeks of the Call of Duty World League schedule was released. Games will begin on February 4th. The exciting format has Division A starting things off on Monday, Feb 4 at 6:00pm with Red Reserve playing against Reciprocity. However, Division B will only see competition starting on Feb 18 which has Heretics battling eUnited to start off that division. Both Divisions will cross over on March 25 for the first time in the history of the CWL Pro League. Teams from Div A will battle teams in Div B. There will be two best of five matches against each of the other teams in the division (8 teams per division). It will be a double round-robin format. There will be one best of five match against eacvh of the 8 teams in the other division which will consist of a single round-robin format. The CWL Pro League Playoffs will hold “Play-In” brackets for teams who plays between 5th and 8th in their respected division. This will be followed up with a ten team double elimination bracket. This double elimination bracket will hold “Play-In” winners and the top four teams in each division. You can watch the Call of duty action over at MLG.com, or at the Call of Duty official Twitch channel found here: Twitch.tv/CallofDuty. All games wil be played on PlayStation 4. Here’s the complete schedule for the first six weeks of competitive play. All times are based on Eastern Time. Every Monday holds two matches, while the rest of the games on Tuesday, Wednesday and Thursday hold four; except for Cross-Division matches. This page will be updated of all CWL news, stories, and results. Stay tuned and don’t forget to use the hashtag #CWLPS4 to interact with the CWL community. 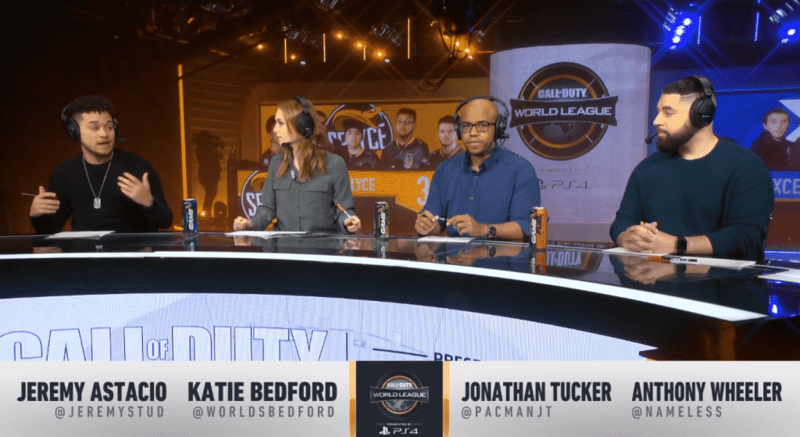 Jan. 20, 2019 – The CWL Pro League 2019 season is underway, with the Black Ops 4 qualifiers ending yesterday. The divisions were finalized yesterday as the Qualifiers wrapped up in existing fashion. There will be two divisions, A and B consisting of 16 top teams in the Call of Duty world. The Pro League starts February 4 and goes all the way up to July 5 where teams will be battling each other at the MLG Arena in Columbus, Ohio. Almost all matches will be played in Columbus except for the Pro League Playoffs. Out of the six teams that made it into the Pro League from the recent Qualifiers; five of them are returning to the big stage which includes Evil Geniuses, Team Reciprocity, UYU and Red Reserve. All had decent showings at the CWL Vegas with ME finishing 37th, UYU finishing 14th, RR placing 12th, TR placing 10th and EG placing 7th. the only team that’s new to the scene is Team Space, who have shown impressive results in the qualifiers. Out of all the teams in Division A, OpTic Gaming just came out on top at the CWL Vegas Open finishing 1st in the tournament. However, Evil Geniuses are the Call of Duty World League Championship 2018 champions and have the ability to steal top spot in this Division. But, EG didn’t finish well at Vegas and will be looking to turn things around, as OpTic Gaming did last event. Red Reserve is a solid team that can’t be overlooked, placing 2nd and third at the Anaheim Open 2018 and Pro League Stage 2. All of the remaining six teams are returning from the Vegas Open. 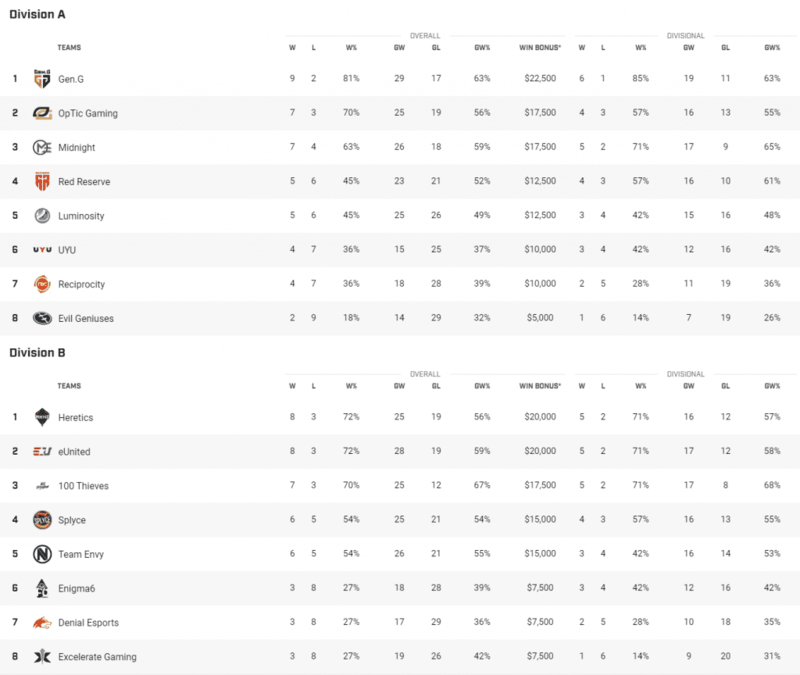 All had decent showings at the CWL Vegas with TE finishing 9th, 100 Thieves finishing 11th, ExcelerateGG placing 17th, TH placing 18th, OT placing 25th and Enigma6 at 30th. Although these places weren’t as competitive as Division A, these teams did well in the Qualifiers and will be bringing some much needed competition to the group. eUnited has decent showings in the last 5 events, specifically 2nd place in Vegas, 4th place at the 2019 Championships and 3rd place at the Seattle 2018 Open. Splyce recently made headway by finishing 3rd at Vegas. They were the only team to go up 2-0 on OpTic Gaming, however, conceding 3 matches in a row to lose to OG. 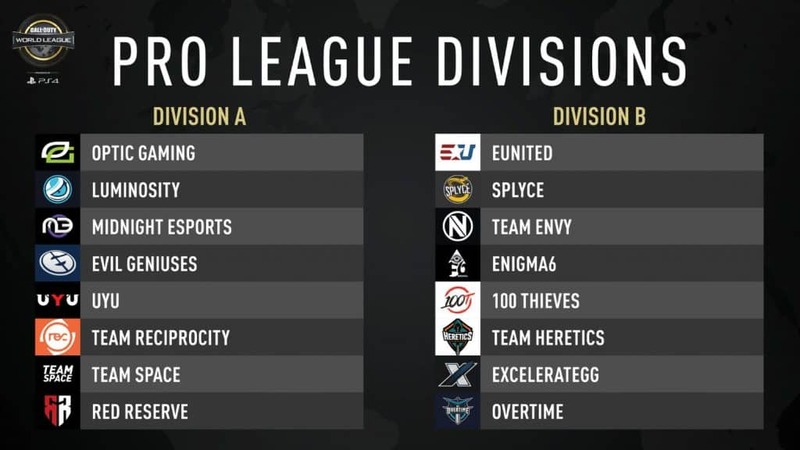 Both eUnited and Splyce are favorites in the group. Given the placements at the last event in Vegas, and each teams historic performance, Division A proves to be highly competitive and it won’t be an easy road for the two clinched teams; OpTic and Lumin. Division B looks to be a little clearer, however, nothing is written in stone and no team should be written off. During the first day at the CWL Vegas Open, Call of duty World League announced the final locations for the 2019 season. The locations will be in Fort Worth Texas, and Anaheim California. The last location has yet to be determined as well as the date. However, it will be somewhere in the UK during May with the UK Event National Qualifier happening sometime in April. The three events will be open events such as the layout in Vegas. 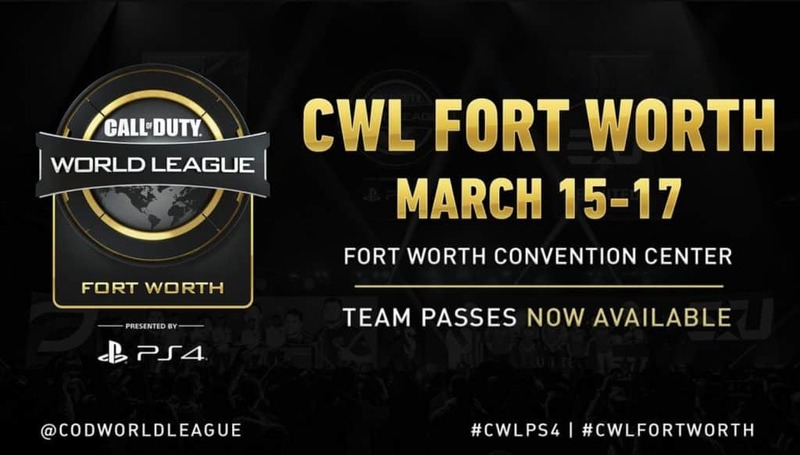 The CWL Fort Worth will take place on March 15 to March 17 with the Fort Worth National qualifier starting March 2. The last open will be in Anaheim during June 14 and 16 (Anaheim National qualifier happening June 1). The Finals will take place in July, with no details given at the moment. Although the layout is shown, there’s a lot of dots that need to be connected. The online 2Ks and 1Ks will start on Feb 10, 24 – March 3 and 10, April 7, May 12 and 26, and the last date on Jun 30. The Call of Duty World League Championship 2019 will take place sometime in August, however, location and date have yet to be announced. This post will be updated once the information is presented. 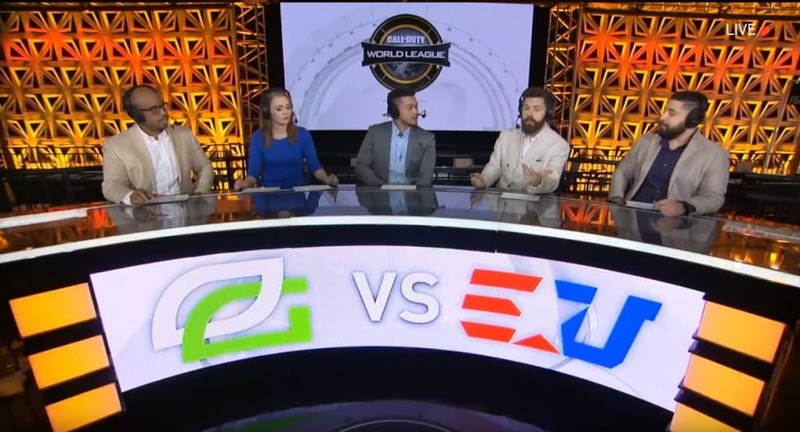 Related: The Most EPIC Call of Duty Esports Play By Play of All Time! Saturday and Sunday’s schedule is the same as Friday’s schedule. The CWL Pro League 2019 format will be 5 versus 5 players. The CWL prize pool will increase to $6 million dollars which is the largest amount for Call of duty Esports. Players from around the world are allowed to particiapte in CWL events after egion restrictions have been removed. There will also be inter-divisional play. 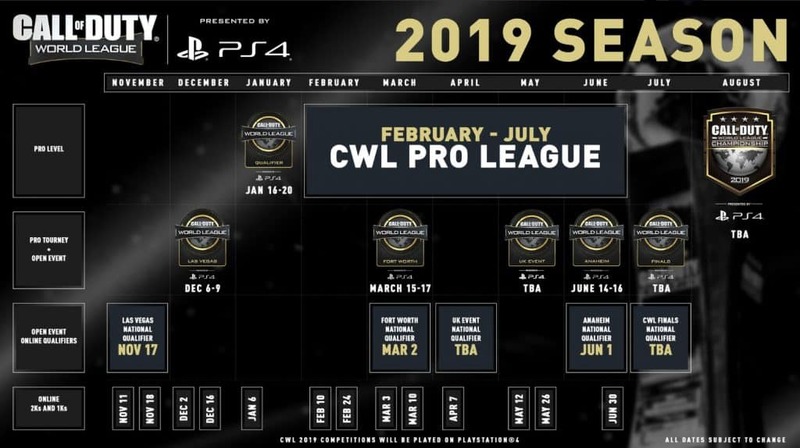 Stayed tuned for more information on the CWL Pro League 2019 season. 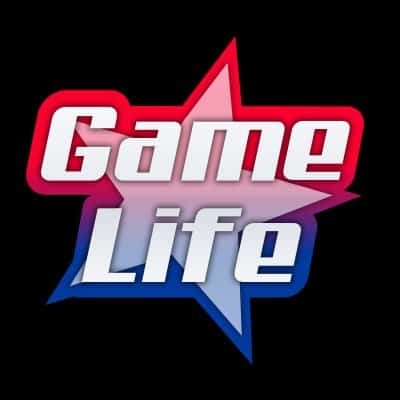 Game Life will be posting schedule, team rosters, updates and results.